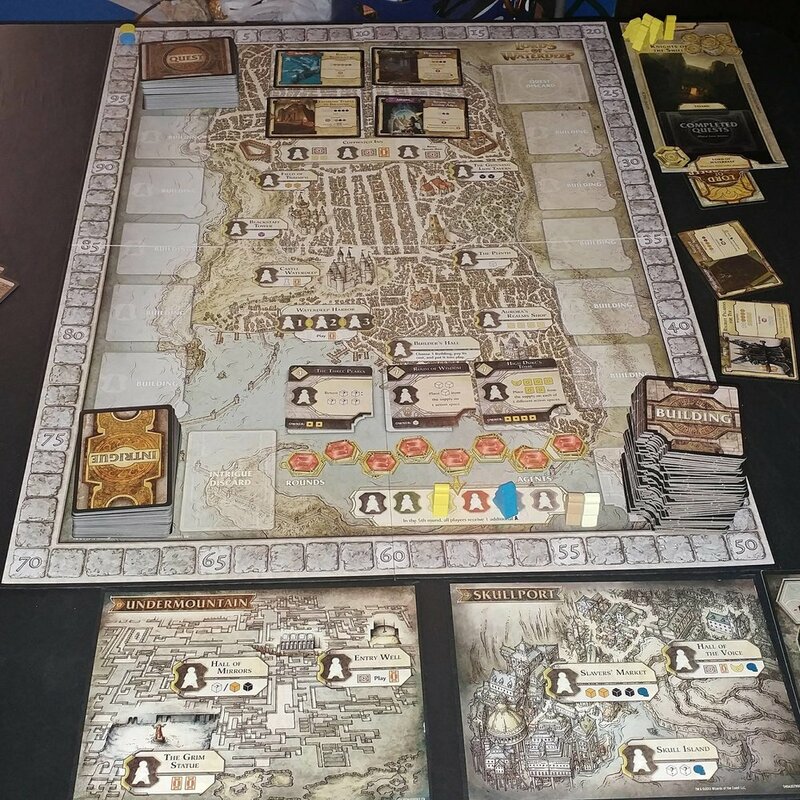 Aug 22 Open Seat Gaming: Does Champions of Midgard Replace Lords of Waterdeep? So, as you know, I love worker placement games. Lords of Waterdeep and Champions of Midgard (referred to as Waterdeep and Midgard, respectively) are two of my favorites. And, until the expansions for Champions of Midgard came out, I was at a point that I believed that I liked them the same. That isn't the case anymore. After I played Midgard with the expansions, I realized how drastically different the games were. When I look between the two, I do realize that I like Midgard a bit better than I like Waterdeep. So, that got me to thinking - does Champions of Midgard replace Lords of Waterdeep? Before I answer, let me give you some caveats to this article. First, I have played Waterdeep at 2, 3, 4, and 5 (never 6). I have played Midgard at 2, 3, and 4 (never 5 as of this writing - mainly because the 5th player did not exist until the expansions came out). In order to get these notes down, I actually played Waterdeep and Midgard back to back, with only a fifteen minute game of Qwixx in between to reset our brains. They were only 2 player games, so there are likely some differences that I missed that I would have seen in multiplayer games. And above all else - this is my opinion. Other people are going to feel differently. Need refreshers on these games? Rahdo did a great overview of both Midgard and Waterdeep on his channel. Anyway, here are some of the observations that I made about Waterdeep and Midgard when playing them back to back. Waterdeep has much more "take that" than Midgard does. This was the first thing I realized, above everything else. With Waterdeep, you are beating the ever-living crap out of your opponent. There are tons of attack cards in the Intrigue deck that allow you to mess with your opponent's tavern, the board, and everything in between. You feel like you really are playing against the other player and trying to hold them back as best as you can. Midgard, on the other hand, doesn't really do that at all. Beyond the typical worker placement, "Oh, I took the spot that you wanted to take," there isn't any take that in the game. It's all about you versus the world that these Vikings live in - you're building up your army and fighting monsters instead of each other. I used to play World of Warcraft, so the closest thing that I could think of for this was that Waterdeep is more Player versus Player (PvP) and Midgard is more Player versus Environment (PvE). Midgard has a much stronger connection to the theme than Waterdeep does. Oh man, we have all heard the argument that there is no theme in Waterdeep. That it's just a pasted on, generic fantasy theme that pretty much works any time, anywhere. While I do think it's a little more than pasted on (the back-stabbery that happens is very closely related to how people would fight for control over an area like Waterdeep in D&D), it's still very slight. Midgard, while not entirely thematic, actually carries its weight when it comes to theme. You get that epic feel that you would if you were out adventuring and fighting all of these baddies! You feel like you're putting together an army that you have to feed and take care of. Yes, it is all very abstracted, but you feel very connected to it, and excited as you hit the end of the game. Waterdeep is a faster and smaller game, period. Like I said, there is definitely an epic feel to what you're doing in Midgard. Part of that epic feel is the size, time, and upkeep that you have to do in the game. The board takes up a lot of space on the table, and Valhalla and the Dark Mountains eat up even more space. Look at how much of our card table gets eaten by Midgard. The size of the game is not the only epic thing, however. Setup, with the expansions, can take up to 20 minutes. Upkeep in between phases (including the battle phase) can be up to 15 minutes because of all of the fighting and changing and all of those things that you need to do. The game can take up to 2+ hours, even with just 2 players. The whole thing feels like an epic undertaking... which is why we usually play it several times in a week because I am not going to waste my time taking it up and down several times if it's just going to come out again. Don't see this as a complaint, I LOVE that it's huge and epic and whatnot. But, it's an important distinction to make. Waterdeep takes up less table space (see the pic below). The game took us (2 players) around an hour and a half to play. The upkeep between rounds takes maybe 2 minutes, tops. And that smaller footprint makes it a game that may get played more often due to the fact that it takes less time and space to work with. Both utilize the "questing" feeling (when you add Valhalla into Midgard). Before the expansions for Midgard came out, I would have told you that Waterdeep felt more like World of Warcraft to me. Why? Because I had to do "stuff" to complete quests. I love that about Waterdeep too - I love figuring out the numbers in my head and knowing what I need to do. It is a ton of fun to work that stuff out. Midgard had that to a degree, but there was a lot more luck based in that, considering you had to roll die to complete your "quests" (killing monsters). But, now that they have added a set collection element as a part of Valhalla (with your sacrifice tokens), I feel like that they have gotten the quest feeling down too. So, Midgard kind of gives me the World of Warcraft feeling nowadays, since there is also combat involved as well. Waterdeep has more of a direction; Midgard is more of a "sandbox." This is another huge difference that took me awhile to try and figure out how to word correctly. But, this is exactly it - Waterdeep has more of a "direction" when it comes to dealing with the quests and tasks that you're doing. Your Lord or Lady actually gives you a way that you should be going with your strategy, making it easier for you to figure out what quests to take and where to place your workers throughout the game. If your Lord gives you a bonus for Commerce and Warfare, you will be taking as many commerce and warfare cards as you can in order to maximize your bonus at the end of the game. If you disregard your Lord completely, you can end up missing out on a ton of points. While Midgard has something similar in the Destiny cards, those cards are a little more basic and you get fewer points for your work. Plus, you only have one Destiny card and you need to spend a worker to be able to get any more of them. While they can give you a little boost at the end of the game, they (usually) are not game-changing, since most of them are between 3 and 7 points, max. This makes the game a little more fluid and loose. Want to kill a bunch of trolls to keep throwing blame at your opponents? Cool. Want to collect lots of dice to get the epic monsters and valkyrie blessings from Valhalla? Cool, that works too. You have a lot more flexibility when it comes to figuring out your path to victory. So, what is the answer? Has Midgard fired Waterdeep? To me, the answer is "absolutely not." I can justify having both of them in my collection because, frankly, they are different enough that I really like to get both of them out and play them. Yes, I prefer Midgard - but getting back to good old back-stabby Waterdeep is always fun as well. Worker placement is one of my favorite mechanisms, and so I will always have room for more in the collection. Aug 11 Open Seat Gaming: Ramble Review – Champions of Midgard Expansions! 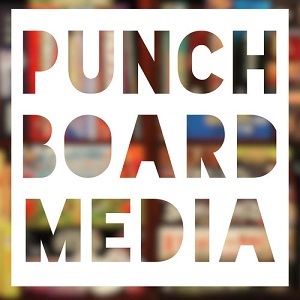 Mar 30 Open Seat Gaming: Our First Unpub!